The report is based on a survey conducted in 2015 among non-federal, office-based physicians. 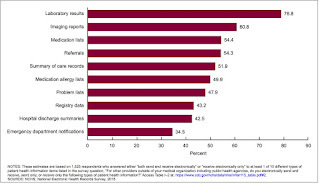 The results show that among those office-based physicians who sent patient health information (PHI) electronically, the most commonly observed types of PHI sent were referrals (67.9%), laboratory results (67.2%), and medication lists (65.1%). 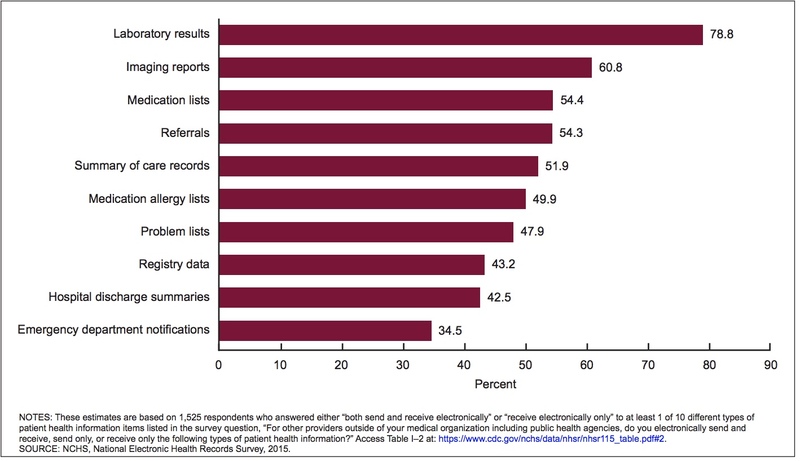 Among physicians who received PHI electronically, the most commonly observed types of PHI received were laboratory results (78.8%), imaging reports (60.8%), and medication lists (54.4%). The researchers conducted the analysis to establish a first national benchmark for understanding the types of PHI that are electronically sent, received, integrated, and searched for by physicians with EHR systems, and could also be used as a benchmark for future research.